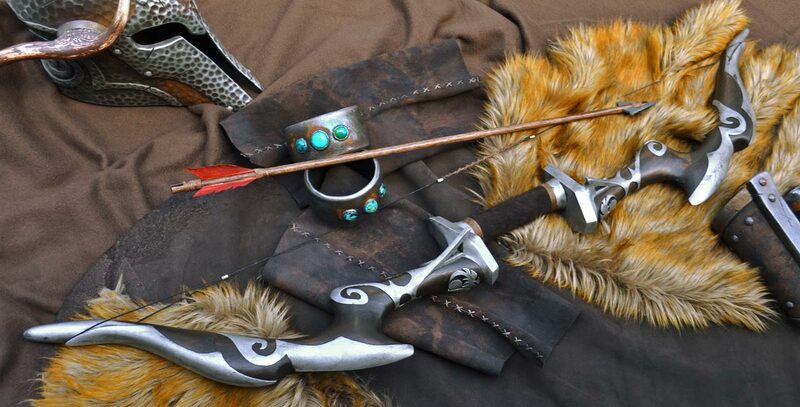 Created in about three days, the Nightingale Bow was built to accent the Ancient Nord armor project for DragonCon 2013. 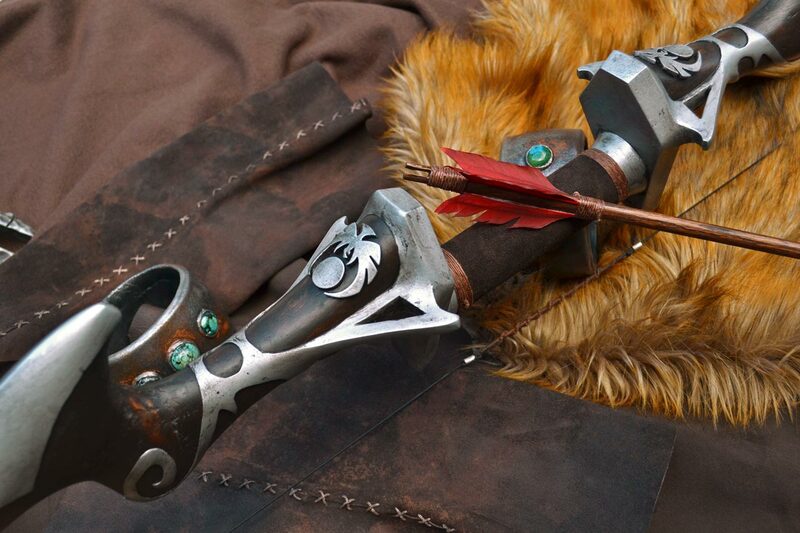 Since speed was key in this project, this is a one-off with no molds or cast parts. 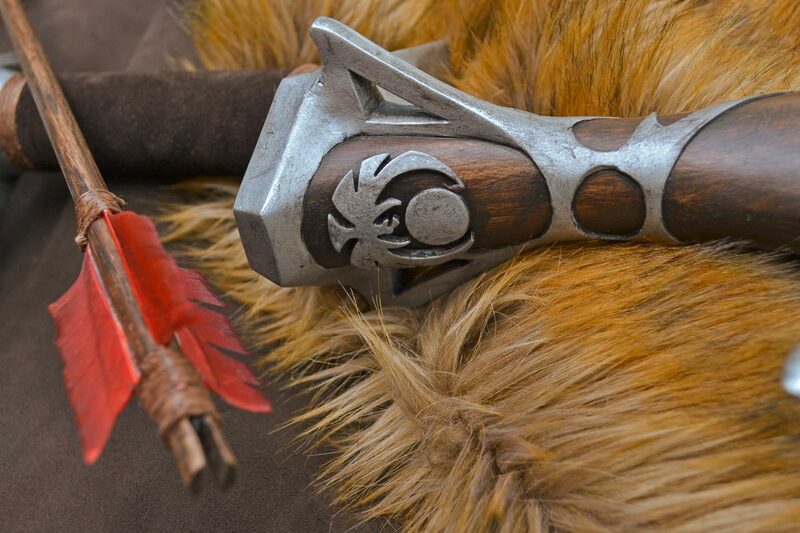 Since this is a cosplay accessory, the bow has been made with weight and durability in mind and uses spruce for the main structure with details sculpted directly over the wood in epoxy clay. 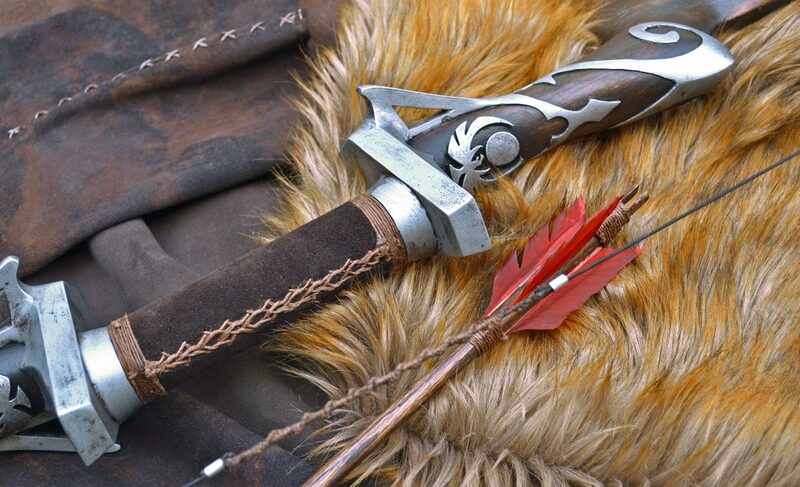 A 12″ long steel rod connects the bow arms to the handle and provides strength. The bowstring is made from elastic and has been created with a centered twist knot that holds the arrow in place when nocked. 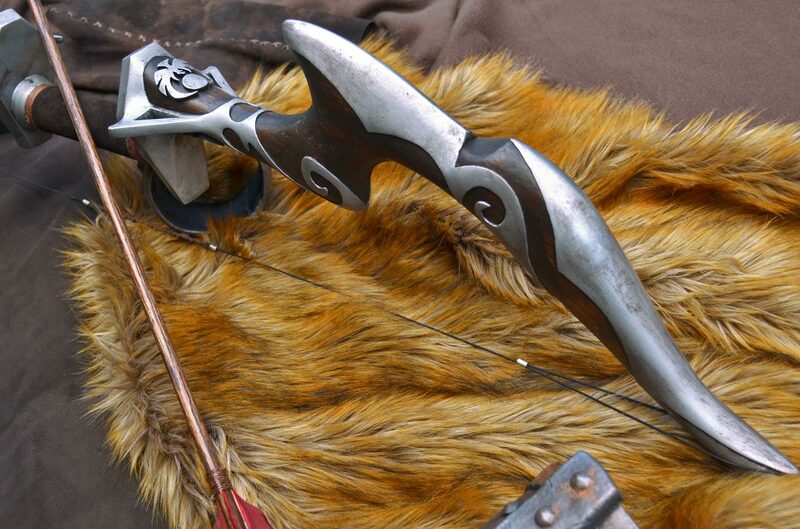 This prevents the bow from actually firing, making this a convention safe prop incapable of launching a projectile any more than a few feet, even if you accidentally let loose an arrow. I’ve tried, and it’s actually far more deadly and efficient to just throw the arrow at your target.